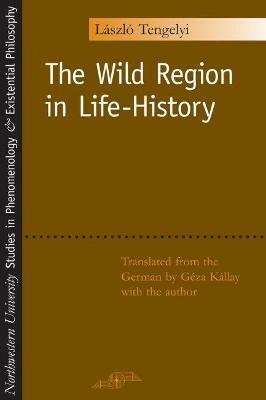 A tour de force by one of Hungary's most interesting contemporary philosophers, this work outlines a phenomenological approach to some of the main topics of theoretical philosophy, such as meaning, sense, temporality, unity of life, narrative history, self-identity, and intersubjectivity, as well as an ethics of alterity. In his investigations, Laszlo Tengelyi's point of departure is a critical examination of what is commonly referred to as the narrative view of the self, which tends to equate life-history and personal identity. Challenging this view as too one-dimensional and reflective, Tengelyi reveals a hidden area of sense-formation in life-history - an area in which force and meaning do not merely blend but in many ways undermine each other. It is this hidden area that The Wild Region in Life-History describes. Husserl sought to constitute the meaning of the other as a modification of the self. Tengelyi turns to Heidegger and Levinas to expose Husserl's model of ""ownness"" as an illusion, and he appeals to Merleau-Ponty to point to the invisible in the visible. His work calls attention to the ethical claim arising from a meeting of self and other, and to the dramatic split of the self that such a claim entails. This drama, Tengelyi contends, cannot be narrated as a part of some life-history. The ethic of responsibility is primarily one of responding to such claims and only secondarily one of obeying a law. Finally, not even the immediate ethical consequences of an encounter with another human being transcend the wild region in life-history; on the contrary, they include, as Tengelyi shows, a whole range of elementary claims that precede duty, law, justice, and obligation, without, however, being integrated into a moral order of aims and goals. LASZLO TENGELYI is a professor of philosophy at the Bergische Universitat-Gesamthochschule Wuppertal in Germany and serves on the aditorial board for the journal Husserl Studies. He has published numerous articles in international journals as well as several books in Hungarian. GEZA KALLAY is an associate professor in the Department of English Studies at Eotvos Lorand University in Hungary.